All Plumbing, Heating & Air Conditioning Repairs and service. We Specialize in high efficiency Heat pumps & Furnaces. Our Plumbing Service covers all aspects. Covered by our 100% satisfaction. Since 1953, Cloverdale Plumbing has been providing residential and commercial plumbing repairs, new plumbing construction and installation, and 24 hour emergency services to the Treasure Valley. All Star Plumbing & Restoration is a Boise, Idaho based plumbing and restoration company that has been serving the residents of the Treasure Valley since 2004. We offer friendly, personable, and timely service to meet all of your planned or emergency plumbing and restoration needs. In fact, we're on call 24/7 for plumbing, flood, fire, and mold issues and can guarantee that you'll be pleased with how our highly skilled team restores your home or business. Need a plumber or restoration expert? No matter how small or large the job, we are happy to evaluate any plumbing or restoration need for your residence or commercial building. Stop! You can end your search right here! Drain Pro Plumbing Heating & Air Conditioning Boise plumbing service you will need! We have been a staple of the Boise community for over 20 years and we plan on remaining the top Boise plumber team for the next 20 as well! As sure as we bet on our longevity, you can bet that when you call us, you will be receiving top notch service and the best rate you can find it. We do not play games with our craft, with you, or with your money. Experience Counts for A Lot As our company continues to grow we have learned how to optimize our staff size and operating systems to operate effectively and efficiently. Logically, we seek out the best plumbers Boise has to offer! Your patronage has grown us into the top Boise plumbing company and we promise to maintain the level of quality that brought us your business in the first place. In nearly a quarter century, we have learned not only the ins and outs of how to provide best plumbing Boise can find, but also the what is in the hearts and minds of our community. The Customer Comes First What we have learned to be the number factor for our success is the commitment we have to your satisfaction. The rave reviews we receive on a weekly basis have accumulated into a steady stream of new clients as well as plenty of returning patrons. Give us a call today to witness that great Boise plumbers’ team your neighborhood has been talking about! Our customers are our lifeblood and we are dedicated to growing both our reputation for plumbing in Boise and our standing in the community as a whole. We understand better than all others the importance of quality Boise heating & air work, furnace functionality, and water heater repair. Boise is our community and we are invested its members. 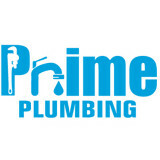 We take pride in being the plumber Boise deserves! Your One Stop Shop for Everything Water No other team can match the range of services we offer the residents of Boise. HVAC. Remodeling. Septic work. You name it. We understand how vital all of these services are to Boise. Heating and air is essential in a place with weather patterns like the Boise area. We take pride in our job keeping Boise comfortable! Give us a call and find out firsthand that Drain Pro has the best plumbers in Boise, Idaho! We are the number one choice in for all plumbing repair and HVAC Boise might have! Boise Plumbing and Drain is a no-frills, blue collar company whose only concern is delivering you exceptional service at the best rates around. Our technicians are very experienced and coached on customer service so they know how to get the job done and communicate with you effectively. We know that those are the two most important characteristics of quality plumbers. Boise deserves an exceptional level of service and our success proves that we provide that Give us a call at Boise Plumbing and Drain for ALL of your water service needs! We have a team of specialists brought together into one unit in order to fulfill any plumbing Boise needs. Choose us and have faith that you will receive the choice pick of plumbers in Boise, Idaho. There are no other Boise plumbers so committed to excellence as ours. 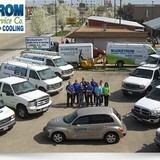 We have the largest, most well-qualified team of HVAC technicians and plumbers Boise has to offer. This allows us to handle any plumbing Boise residents need with extreme efficiency. Give us a call today and see why we are the highest rated Boise plumbers! Our success comes from our approach. We desire not only to be the best Boise plumber team, but also reliable members of our community. We understand that our customers are our friends and neighbors and we treat them as such. We are proud to set the standard for plumbing in Boise. HVAC and water heater repair services are so vital to our area given the wide range of weather conditions we experience year in and year out. While we have no desire for water heaters or Boise heating and air conditioning systems to break down, realize that we are lucky to be in such high demand and are grateful to our fair city for relying on us so often. Boise Plumbing and Drain delivers the fastest, friendliest service! With a large crew of clean cut, well groomed plumbers, we can service the largest range of any plumbing team in the area in the fastest time. We provide rapid same-day service to Ada and Canyon county. We are the best plumbers in Nampa, Meridian, or any of our the smaller surrounding towns in addition to Boise. Plumber teams often get a bad wrap for their people skills and for this reason Boise Plumbing and Drain goes above and beyond to train all of our Boise plumbers in customer service. If you want the type of service you deserve, quickly, and at a fair price give us a call today! Don’t wait, pick up the phone now and select the best plumber Boise has to offer! When something goes wrong with your residential or commercial plumbing system, just reach out to the local professionals! We're locally owned and operated right here in Boise by Jeff Flatt. Jeff is a member of the State of Idaho Plumbing Advisory Committee, and he has years of experience working with systems just like yours. You can count on our results, because we've been delivering great work here in Boise for more than 20 years running. Call us today! Hello, I'm Doug, owner of A Complete Water Heater Service of Boise and I'm ready to serve you. I professionally repair, service and replace all brands of water heaters. I am licensed, bonded, insured and have been doing business in the Treasure Valley for over 25 years. Call me now for a free estimate and very competitive pricing! We're a full service plumbing company that provides prompt, dependable plumbing repairs throughout the Treasure Valley. We fix dripping faucets, leaking pipes, clogged drains, water heaters, and much more. We're a small, owner operated company, and our plumbers are clean cut and professional. We provide up-front pricing with timely service throughout Boise, Meridian, Eagle, Nampa, Caldwell and the surrounding communities. When you're dealing with a leak or clogged toilet, you can turn to Lee's Plumbing in Nampa, ID, for help from a plumber. We have the skills to handle large or small plumbing problems, and we have the diligence to tackle repairs and installations in a timely, efficient manner. As your go-to source for plumbing services, we'll always be one phone call away. Veterans Plumbing is a business that was formed to complete a wide range of commercial and residential plumbing projects while providing exceptional customer service. Our plumbers have extensive professional experience and are able to efficiently troubleshoot and repair any issue whether it be a damaged valve, a broken appliance or a malfunctioning fixture. We offer full replacement for water heaters and water softeners and install only premium appliances from trusted manufacturers. We're also available for assistance in emergencies 24 hours a day. Starting out as a small business Buss Mechanical Services, Inc. has grown into a leading plumbing resource in the Treasure Valley, and western United States. From Alaska to Kansas, we specialize in commercial and service plumbing and no job is too big or too small. Licensed and Bonded, whether you need a whole office building or a sink repair, we can do it all. A plumbing contractor handles the installation and repair of water, sewage and natural gas pipes throughout a home, as well as interior and exterior faucets and fixtures. Plumbing contractors are also trained to work with water mains, septic tanks, laundry appliances, water heaters, sump pumps and other plumbing and pipe systems. Because plumbing repair work is done largely behind walls and beneath floors, some plumbing companies can also patch or replace tile, stonework and other surfaces. Although some Murphy plumbers are generalists, others specialize in specific areas; a 24 hour emergency plumber will handle urgent residential repairs, while others may be more skilled in remodeling, natural gas lines, overhead sprinkler systems and more. Find a local Murphy plumber on Houzz. Narrow your search in the Professionals section of the website to plumbing contractors in Murphy, ID. You may also look through photos of Murphy, ID projects to find a licensed plumber who has worked on a project similar to yours. Here are some related professionals and vendors to complement the work of plumbers: General Contractors, Septic Tanks & Systems, Kitchen & Bath Designers, Kitchen & Bath Remodelers.